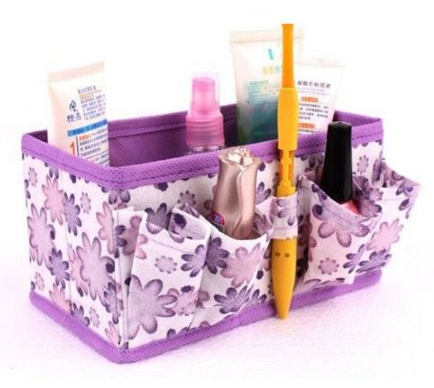 Cosmetic Makeup Storage Box Only $2.99 With FREE Shipping! You are here: Home / Great Deals / Amazon Deals / Cosmetic Makeup Storage Box Only $2.99 With FREE Shipping! I have never seen such a great little organizer for cosmetics! This one would be perfect to take on any trip this summer because it folds up. Get this Cosmetic Makeup Storage Box for only $2.99 with FREE shipping! You can choose from purple, blue, orange, green or pink!